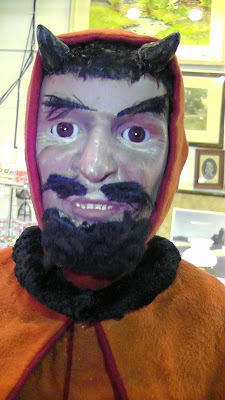 If this devil nodder isn't creepy, I don't know what is! Made in the early 1900s, it has a wind-up clockwork and key movement. It was used to advertise Devil Ham from the Armor Meat Company. The devil stands nearly three feet tall. Here's a closeup of the nodder's devil face. 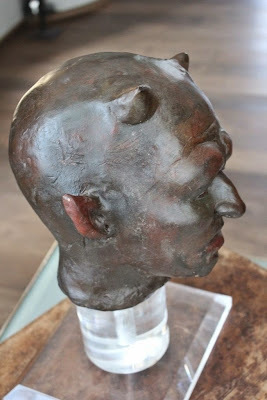 This devil puppet was made in the eighteenth century to use as a tool to frighten the populace. Apparently the devil head was fastened on a stick or iron spike so the priest could wave it around while yelling (in Italian) at the quaking peasants.